The Hoofers Outing Club whitewater group provides the equipment and instruction to members of all levels of ability to experience, learn, and progress in whitewater activities. Club members paddle whitewater in kayaks, decked canoes (called C-1 boats) and open canoes. Experienced members volunteer to share their enthusiasm for kayaking with other members by offering kayak lessons, kayak practice at Prairie du Sac and river trips nearly every week from late May until fall. In addition, the whitewater group organizes informal kayak lake practice, pool sessions at the Nat during winter, kayak video nights, participation in Canoecopia, trips to classes taught by professional kayakers, and trips to the Southeast and to the West throughout the year. What do you need to go on a whitewater paddling trip? Here is our lesson rating chart and some suggestions for personal gear to bring. 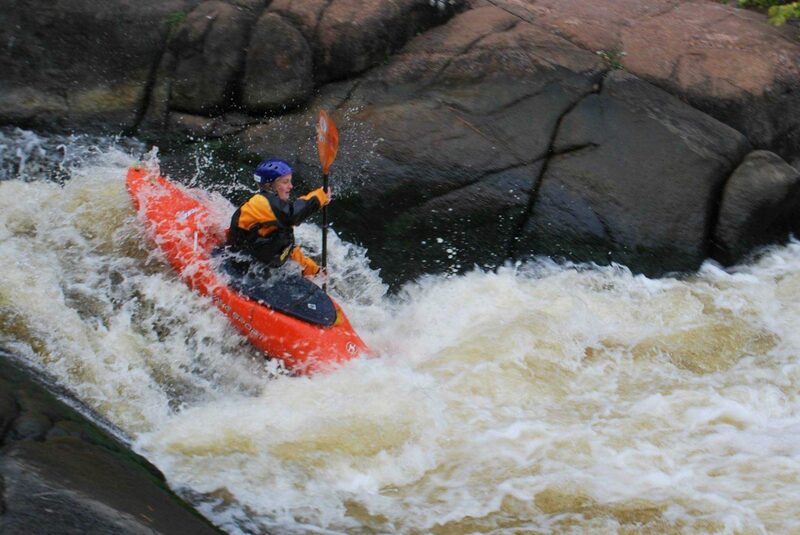 For more information, contact our Whitewater Kayaking Chair.